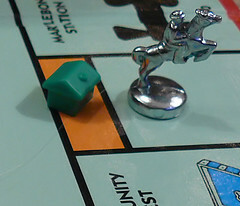 I’ve never finished a game of Monopoly. Not once. Not ever. I’ve not even ever come close to finishing a game, since most games have ended in crossed arms, pouted faces and claims of ‘that’s not how you play!’ and ‘NO, you can’t trade a beer for the Water Works!!’. Last weekend, we headed off to The Canadian One’s friend’s house to have a few drinks and play a few board games like civilized adults. Due to an overwhelming vote of no Killer Bunnies (dammit! ), South Park Monopoly won out and we soon found ourselves wondering if the game will actually end or will it be another one of those times The Canadian One and his friends find the game has come to an abrupt halt with a hockey puck being thrown into a wall / a person being thrown into a wall / an adult-sized tantrum being thrown, delete as appropriate. ‘Tradesies allowed for beer and favors?’ It was important to establish that right at the start. It was voted ‘no’ but I later traded The Canadian One one of my red properties for a glass of water, a vodka and orange, one of his blue properties and some cash. name calling and threats of ‘I’ll flip this board, I’ll flip it right now!’. A quick toss of some money into the pile on the board and the game was done. No one won. We’re adults who fight over Monopoly, none of us deserved to win. 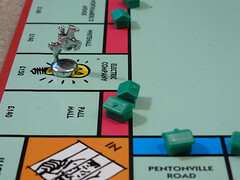 The last time I played Monopoly was at home in my mother’s house at Christmas in Ireland. The Canadian One and I were visiting and my brother and I decided to break out the Monopoly game. My mother, brother, Canadian One and I all sat down for a game and a drink. Two hours later, with no clear winners in sight, my mother making up her own rules and me stealing money from The Canadian One while he wasn’t watching, the game ended in a four-way tie. Although my mother will probably swear she won. Like mother, like daughter, eh? 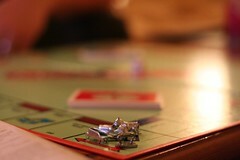 Have you ever finished a game of Monopoly? What other games have you had end in craziness? Should have just played Killer Bunnies! I know!! 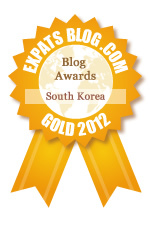 Outvoted! I mean, seriously, who chooses Monopoly over Killer Bunnies?! People who threaten to flip Monopoly boards, that’s who!